Thirty years spent measuring elite athletes and human beings in extreme environments has resulted in a unique understanding of human physical performance and its measurement. 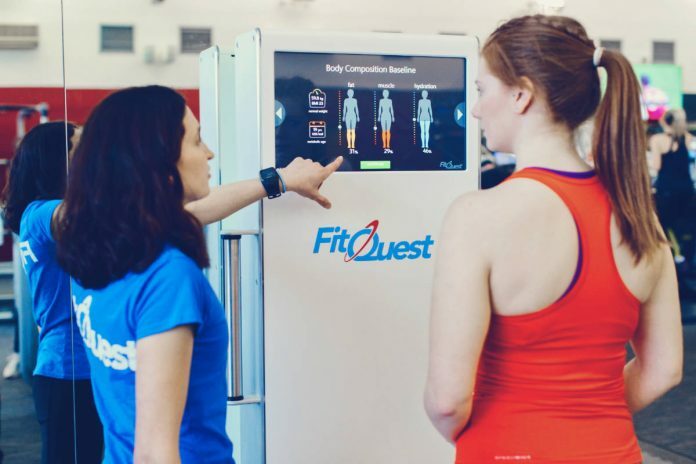 Our focus, at FitQuest, is in bringing unrivalled fitness measurement to support people on their health and fitness journeys to achieve their goals. By providing scientifically robust measurement in an easy to use tool, we can support researchers and operators with an innovative, data-driven, digital solution to help our partners achieve their business goals. A key part of our relationship with all of our existing partners lies in the support we offer to help them get the most out of FitQuest to support their members and business goals. We have a fantastic team to provide insights and further support whenever it’s needed. 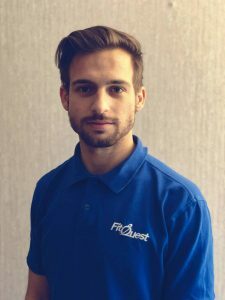 Aidan Smith, BSc, our resident sports scientist, tells us more about his role in supporting FitQuest’s partners. Hi, I’m Aidan Smith, the resident sports scientist here at FitQuest where I have worked for just over 12 months. I have grown up all my life playing every sport possible and always had an interest in health and fitness. This led me to study Sport Science at college and then further my education with an undergraduate degree in Sports and Exercise Science at Nottingham Trent University. I support our customers with training regarding how to complete FitQuest tests and interpret what the results/data means. We also support our partners to understand how this information can then be transferred into practical use. I also provide support to users and operators in day to day usage and any queries they may have. FitQuest is a fun and easy way to measure your fitness and body composition levels in an accurate and time efficient way. FitQuest allows users at any point in their life to better their understanding of their bodies, both inside and out, to build a solid foundation to improving their overall health and fitness. What are the most common queries from FitQuest’s users? Many of our users ask a range of questions regarding body composition analysis, our fitness assessments as well as some general troubleshooting. Some of our top queries are regarding hydration levels and fluid intake, how to understand their results from the fitness assessment and what to do if they’ve accidently entered incorrect data before starting the tests. How do FitQuest support personal trainers? FitQuest allows personal trainers to identify the strengths and weaknesses of their clients both internally (body composition) and externally (fitness). This gives the personal trainer valuable information in order to create a unique and personalised training programme that will benefit the client in the areas that are needed. Trainers can then track their client’s progression through repeat testing on FitQuest and refine the clients programme based on their new results to help ensure they continue to progress towards their goals. FitQuest also has an impressive PT Login feature which allows personal trainers to connect with their clients FitQuest accounts. Via the FQ Portal (fqscore.com) the personal trainers have a unique dashboard which uploads their clients results immediately after they have tested which is a great way to keep track of progression, no matter where in the world they are. How does FitQuest support operators? FitQuest creates a great relationship with operators ensuring they are fully supported in order to maximise usage of the FitQuest. From initial training to analytical reports, FitQuest aims to provide the best possible support system so that the usage of FitQuest for staff and members runs as smoothly as possible. What’s the best way to find out more about FitQuest? The best way to find out more about FitQuest is to visit our website and stay up to date with our blog which highlights lots of great projects we take part in. We also have a great social media platform posting frequently on twitter, Facebook and Instagram. We also have a YouTube channel which helps provide a greater understanding on what FitQuest offers. If you would like more information, then please get in touch via our website and a member of the team will gladly support you. What’s the best way to get in touch if a user needs further support? If a member needs further support, the first point of contact are the trainers in your facility. Both managers and personal trainers at all sites that have a FitQuest have received training and are able to answer your questions! We do also have a support website which answers a broad spectrum of frequently asked questions that provide detailed and informative answers to help you to fully understand all areas of FitQuest. You can also contact our support team via email which will be picked up internally and the right person will be in touch to help with your query.